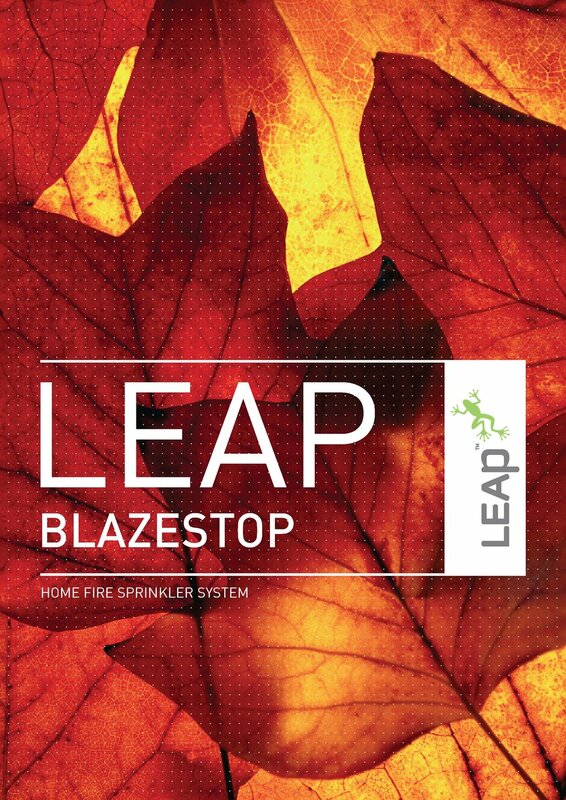 Close to 500 BlazeStop installations in New Zealand homes since 2004. Costing from $7,000 (installed cost), BLAZESTOP systems are a valuable investment to protect life and property. Concealed sprinkler heads in the ceiling space with the smallest cover plate in the industry - only 60 cm. Recommended for rural homes which are more than 10 minutes response time from a fire station; cost of installing a home fire sprinkler system in a rural home is significantly lower than the cost of providing other options required for fire fighting purposes. Email your plans (final or conceptual) for a no-obligation quotation to info@leapltd.co.nz. You can also ring us on 0800-100-111 to discuss your requirements or any questions you may have on home fire sprinklers. Read what our valued customers say about BlazeStop.